How unsurprising to hear the Liberal government has nixed the idea of throwing a pecuniary lifeline to struggling Canadian media. 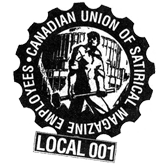 Naturally, the recommendation of a Liberal bail-out prompted the punditocracy to whinge about politicizing of the media, freedom of the press, blah de blah–and the Liberals hastily retreated. Of course, the Liberals don’t really need a formal program, since they already have a scheme in place to politicize the media. Brian Laghi, Globe and Mail Hill hack, now DComm for Liberals in the Senate. David Taylor, CTV National News thingy, now DComm for Liberal Justice Minister Jody Wilson-Raybould. Bob Patterson of CTV to Bev Oda’s office, Kris Sims of the Sun to Erin O’Toole, Daniel Proussalidis of the Sun with Jason Kenney, Dan Dugas of CP to Justice Min. Peter MacKay. All hail the Liberal Party of Canada, saving Canadian journalism, one hack at a time. addition: Dan Dugas worked for Peter MacKay. What about Perischelli to PMO? Don’t recall he was a journo, covering day-to-day politics on the Hill. No room in the canoe for Slaphead Mansbridge? The illustration “U.S. 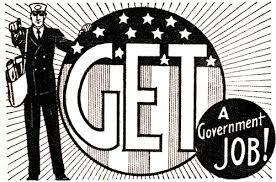 Government Jobs ad, 1932” shows how desperate the times were/are now. Peter O’Neil (@poneilinOttawa) FORMER Ottawa correspondent @VancouverSun @TheProvince in Vancouver, B.C. left (buyout) last week, but hasn’t yet announced a government job. As a former Canwest/Postmedia European correspondent, he might be heading overseas. “The Vancouver Sun’s former parliamentary reporter Peter O’Neil has joined the Privy Council Office as a senior analyst.